The perfect kit for kids! Introducing the all new Vision GT quad skates! These skates are bold, vibrant, stylish and overall great performers, ranging from sizes 11 to 4. It doesn’t stop at new skates though. Safety is key, especially for Children. We don’t want them to go out and hurt themselves but we also know that they often don't think it “looks cool” to wear full safety gear. Here at SFR we have also created helmets and pads to match each of these new skates. 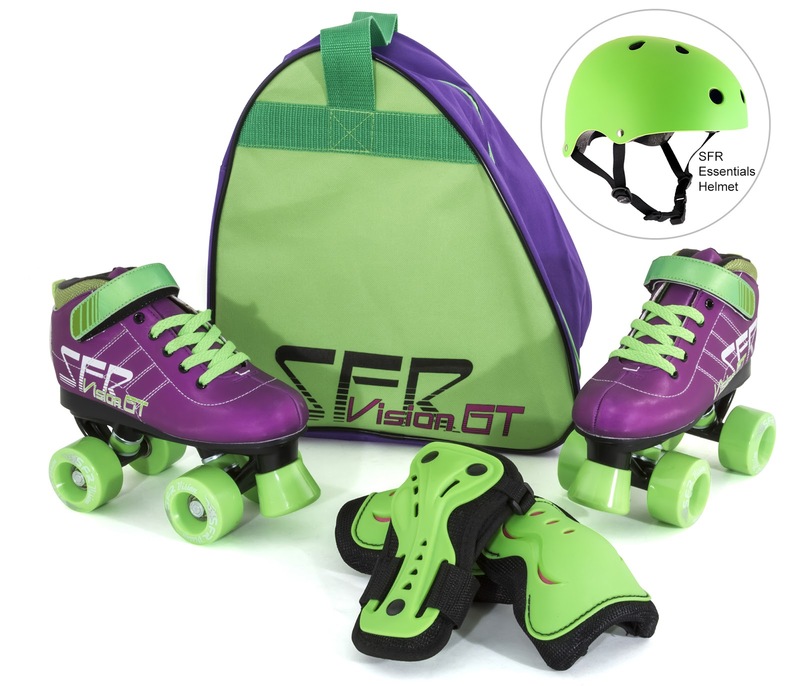 All SFR Helmets and Pad Sets are certified to European safety standards and are very popular among skaters of all ages. So... we have brought you a brand new range of skates with matching safety gear, but the little ones will need somewhere to keep them all. We have thought of that too. We have also made a great and very affordable skate bag to match the range. Each bag will hold one pair of skates, a helmet and triple pad set (out of packaging). 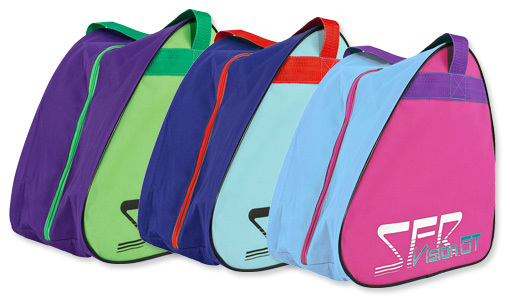 These bags are practical, vibrant and pleasing to the eye so they can even be used to carry PE kits and sports kits around. It doesn’t have to just be about skating, but of course we want to get everyone out on skates! The new Vision GT skates and colour-matching accessories are available from most skate retailers.